Address: Southcott Stables, Southcott, Langtree, Great Torrington, EX38 8LD. 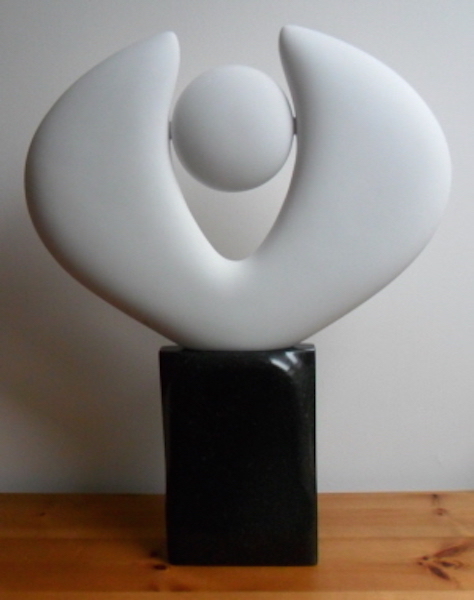 Sam Bell is a sculptor working mainly in marble and in a modernist idiom. His interests lie in the production of both abstract and figurative work, with a particular focus on the play of line, light and form. He has exhibited in West Country galleries, including St Ives (a kind of spiritual home) and was Guest Sculptor at a symposium in Carrara, Italy, in 2014, where he works on a regular basis. Visitors can try their hand with stone and tools available.